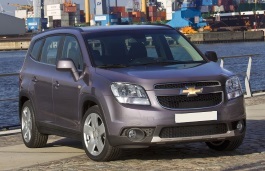 Correct Wheel Sizes, PCD, Offset, Rims and Tire specs for Chevrolet Orlando series. The 5 lug 4.5 inch or 114.3mm High Positive Offset- 225/60R16- snow tires with rims can be used for Orlando Chevy 2012? where can i find used 18 inch rim Bolt patterm 5×115. ONE OF MY RIM ALREADY BROKEN DUE TO ACCIDENT .why very hard to find this bolt patter..is it advisible to do spacer .Pls advice. Hi,Nur hisham adam,for most chevolet car wheels,the pcd is 5*100/5*110/5*114.3，5*115 are not very commonly used,I suggest that you can find 5*115 in ebay or your local car service center.About bolt patter,I do not suggest that you take it.Because if fitted,the wheels bolt may be break due to the high speed driving. Could I use 114.3 rims to my orlando? 1) What are the pros and cons of using 114.3 type of wheel to the car. 2) Do i need to install spacers? Hi,Rizal,1)there are nearly no bad effect of using 114.3.The difference from 115mm with 114.3 is just 0.6mm,It belong to normal torlerance.What i suggest that is want you to find 115mm if you can.2) For spaces,it depend on what offset of your wheels,if it is too small,you need to put on some spaces. Hi,Wendell steele,What the 18'' rims size,Can you show it? Can you tell me if 205/70/15 will fit my 2012 Chevy Orlando. Hi,Peter,Can you show your current tire size? Can I use snow tires 235/60 R16 on my 2012 chevy orlando? Hi,Ariana Waymen,What your current tire size?